Apartment Therapy is a blog I have followed for years. What I like about Apartment Therapy is they focus on real life, real homes, real decorating. So much in the home world reflects photos of places that no one has ever lived in, or all traces of them has been removed. That isn't our home for sure! While I know I can't compete with the major bloggers yet, the exposure from this can help grow my blog in wonderful ways. I know that I go to this list each year and look for new and exciting blogs to explore. If you are finding my blog one of the places you enjoy visiting, if you like my ideas and posts, please consider voting for me in the Homies. 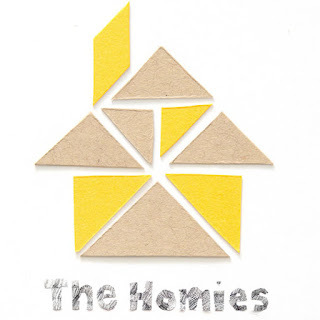 The Homies - look in the Best Home and DIY Projects category for me. If you haven't signed up for Apartment Therapy before you will need to sign in. Here is a link to their sign-in page. You can used a Facebook or Twitter account to sign in. Once your sign in is complete it will redirect you back to the DIY Homies page so you can vote. Vote buttons will appear after you sign in. There are no Vote buttons before you sign in. Names are listed by number of votes so scroll and search out Ashbee design! Thanks for taking the time! And while there, explore some new blogs. Comments? Please note - Effective Feb. 11,2013 I am turning on word verification on this blog for commenting. The blog has been the target of spam comments for the past couple of weeks and I am getting flooded. This is a short term effort to get spammers to move on. I will take off word verification again in a few weeks and see if that cleans up things or not. I apologize for the inconvenience.